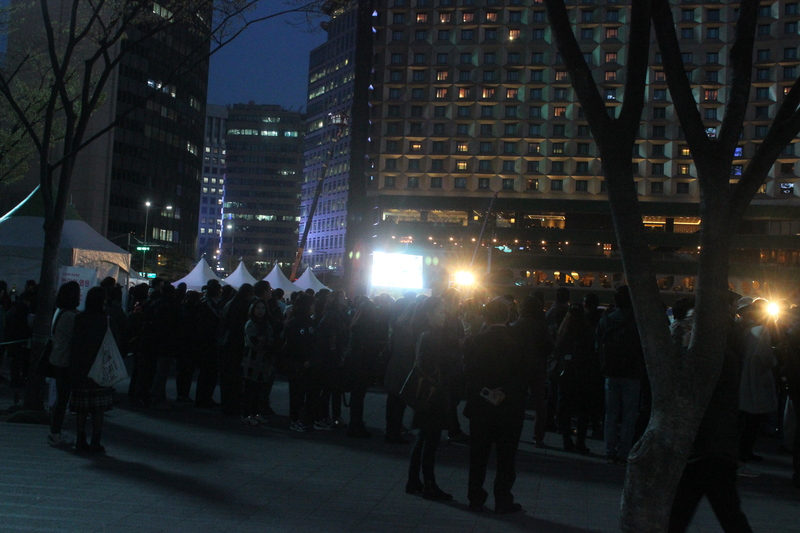 There was an immense gathering in front of Seoul City Hall this evening to commemorate the first anniversary of the sinking of the Sewol Ferry, an event that cost the lives of over three hundred high school students from a working class neighborhood because the ferry operator told them to stay in their seats even after the boat began to tip and he fled himself. The gathering brought a large number of high school and middle school students who just showed up out of concern, out of “sadness,” as they told me. 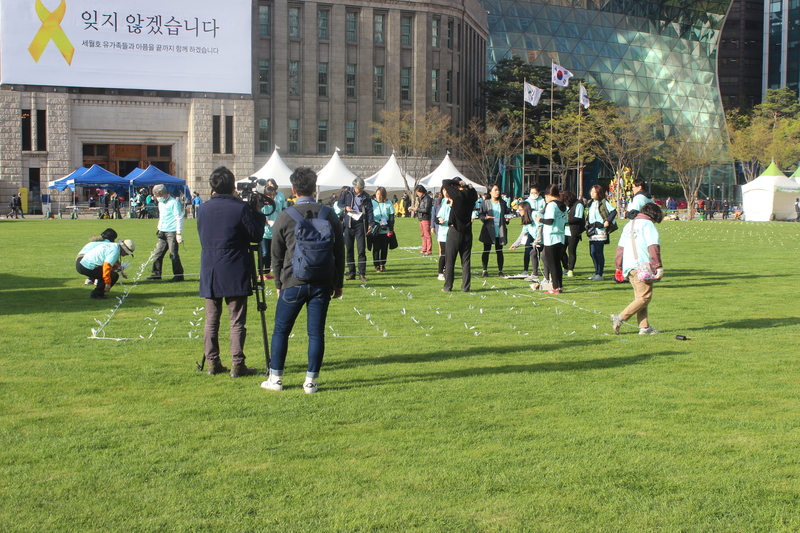 The event was billed as a candlelight vigil that would set a “Guinness Book world record.” The gathering was a mixture of spontaneity and meticulous planning. There was a festive mood at times and deep angst and worry about a world which has gone so completely wrong. It seems as if the students were wrestling to understand how this accident could have taken place and how so many in their society could pretend it had not happened. 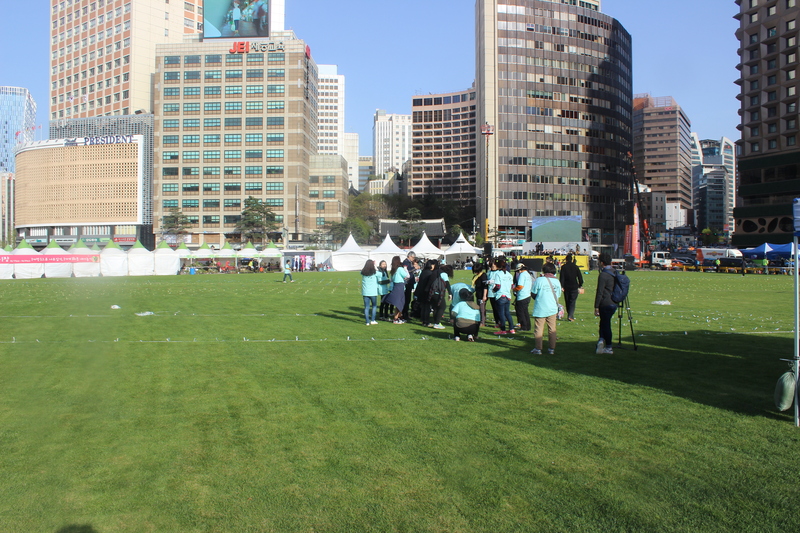 The organizers marked out on the grass the shape of the ferry itself. 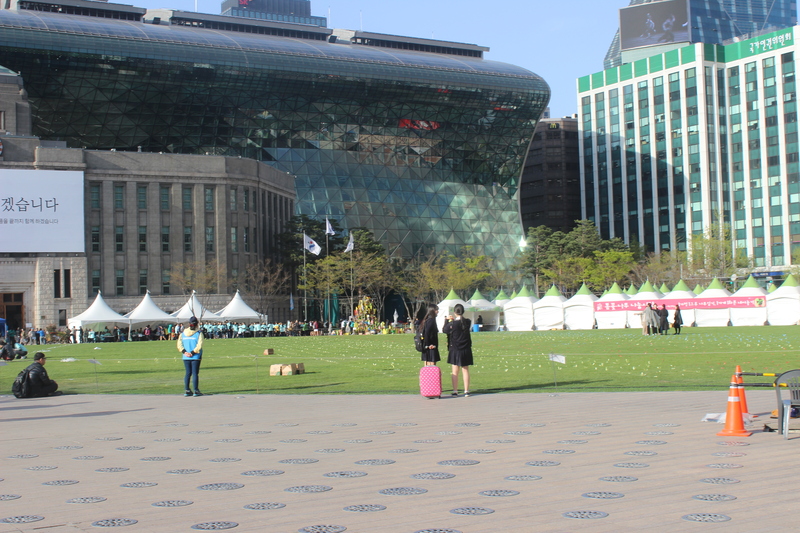 The participants sat on an imagined ferry right there in downtown Seoul. Hangyore gave away a free edition with all the facts about the sinking. Laying down the strips that will mark where people sit with their candles for the vigil. 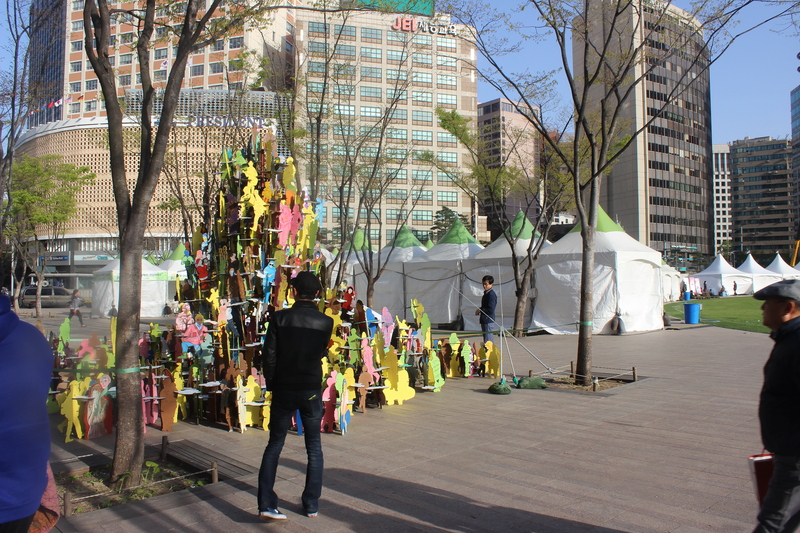 This work of art seems to be made up of figures representing the students who died. I am not sure of its meaning, however. People have scribbled their wishes and fears on the images. 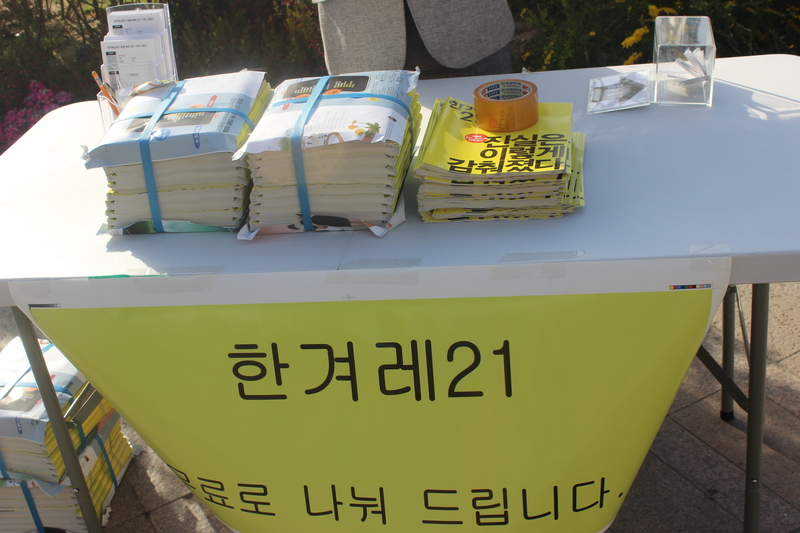 Somehow the Sewol Ferry sinking has come to represent all that is dark and hidden for youth in Korean society.